My friend, Erika, shared this DIY snowman ornament project. I loved it and thought it was a quick and cute idea. Just paint the palm of your hand and fingers with white paint. Grab the body of the ornament from the bottom up with your painted hand. 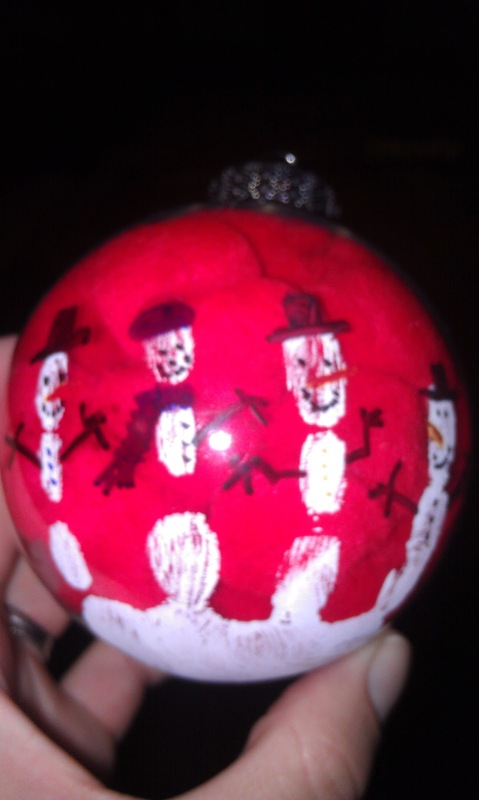 Then use an extra fine pint Sharpie to decorate the snowmen. To enhance clear ornaments, stuff with pom pom balls (as shown above) or other colored filler such as shredded scrapbook paper, confetti, ribbon, etc.